The debate over the new ‘European’ tactical nuclear weapons began in the Danish newspapers during the spring of 1979181. The double decision of NATO in December 1979 created a new fear for nuclear war. Both adults182 and children183 were worried over a potential third world war. Was is possible to prevent one?184. 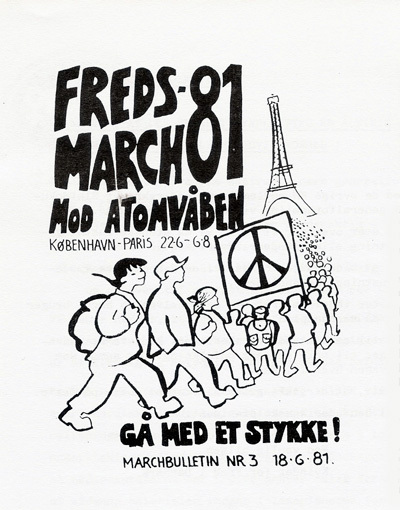 Early 1980 saw the creation of the first two of the many new peace groups: No to Nuclear Weapons (the Danish chapter of the European Nuclear Disarmament Appeal) and Women for Peace. 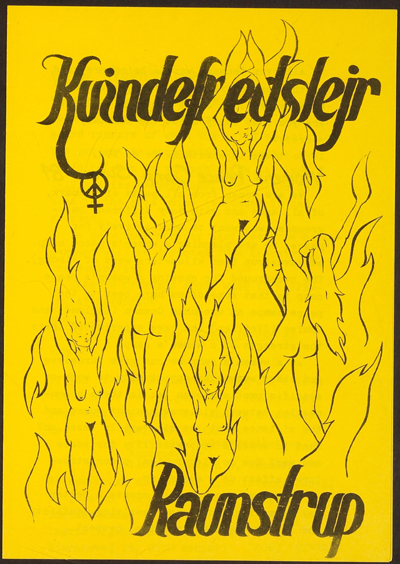 No to Nuclear Weapons dealt mainly with the European security situation: new (American) nuclear weapons in Europe, where the Women for Peace was and still is a traditional pacifist grassroot organization which from 1981 published three magazines: Køkkenrullen and two magazines with the name Grydelappen. Also Martine Pétrod created the Copenhagen Foundation Against Nuclear Test. 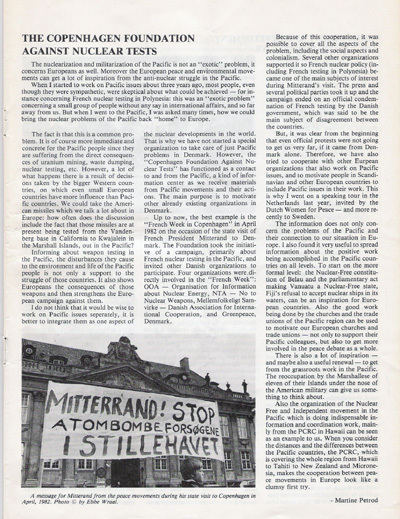 In the late 1980 the Danish chapter of the International Fellowship of Reconciliation publishes a translation of the article Reviving Unilateralism: Report on a Campaign for Nuclear Disarmament in the Netherlands, written by the Dutch peace researcher Philip Everts. It was to be the organisations last publication. 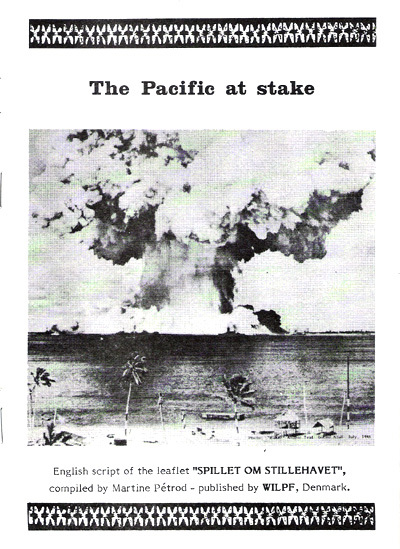 The book by Philip Everts was viewed as important by the new Danish peace groups, which all had to learn how to set goals, organize and work for disarmament. 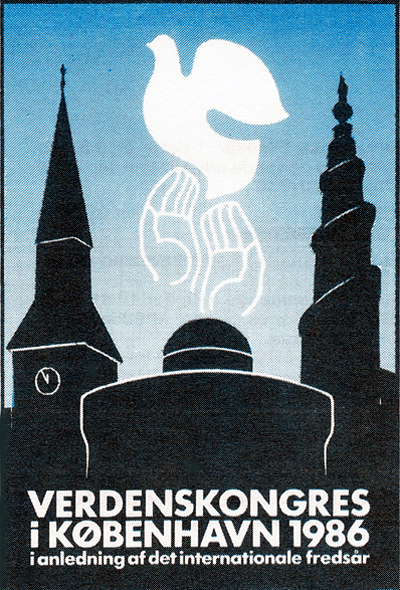 In May 1981 a huge Nordic peace conference was held in Aalborg, organised by unions and the pacifist poet Carl Scharnberg185 and this time succeeded in getting the labour movement and the unions into the peace movement, as a result the number of local and union based organisations grew rapidly, peaking with the much debated World Peace Conference in Copenhagen October 1986186. On the Day of Hiroshima 1981 the Women for Peace created the Peace Garden i Gladsaxe, North of Copenahgen. The umbrella organisation for the Danish peace groups the Liaison Committee for Peace and Security had been established in 1973187, dissolved April 2, 2005. In 1977 it had launched a nation-wide campaign against neutron weapons, but after the Soviet invasion of Afghanistan in December 1979 most of the non communists members left the organisation. Also the members of No to Nuclear Weapons and the Liaison Committee heated disagreements over tactics, slogans and policies especially over the idea of Scandinavia as a nuclear free zone disempowered the two groups during the 1980s. The two contesting organizations established small local groups like Hvidovre for Peace in towns all over Denmark. In spite of the political disagreements the old iron curtain became rusty and peace began to move. The Peace March 1981 organised by the Norwegian Women for Peace started June 21, in Copenhagen and ended at the Hiroshima day in Paris, later inspiring the Women for Life on Earth march from Cardiff in Wales to the US Greenham Common nuclear weapons base and the creation of the women's peace camps there on August 5, 1981. After the march to Paris, Greenham Common women and others promoted May 24th as the Women's Day for Disarmament and Peace. 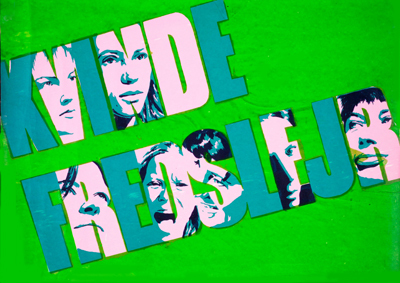 Next year a few Danes visited the Greenham Common Women's Peace Camps; among them were Sigrid Møller. 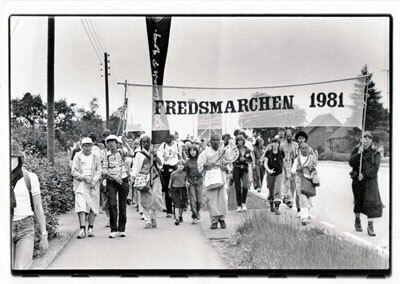 Later in the summer of 1984 a small Danish women's peace camp was established at Ravnstrup close to Viborg. Meanwhile, Danish trade union based peace groups organised yearly international conferences in Copenhagen. Also in June 1982 the fourth conference of the ECCO - the European Conference of Conscripts Organisations, met in Copenhagen. The conscripted soldiers wanted to work in the peace movements and promoted the establishment of an Nordic Nuclear Free Zone. A group of doctors in Denmark will shortly  be opening a medical centre for victims of torture. Also in 1982 the Copenhagen Foundation Against Nuclear Test was established by Martine Pétrod. The Danish Peace Foundation was established in 1983 and even in Greenland a peace group, Sorsunnata, was established in 1984 and affiliated with the Inuit Circumpolar Conference (ICC) promoting the idea, that a Nordic nuclear free zone should include Greenland. The Soviet Peace Committee and the Soviet Women’s Committee had already seen the International Peace March-82 (Stockholm-Moscow-Minsk) organised by Scandinavian women peace organisations and the Bike-ride for Peace 83 from Moscow via Scandinavia to Washington DC188. 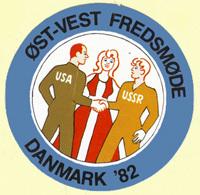 Danish youth organisations created the campaign: Next Stop Soviet189. In the summer of 1989 nearly 3.000 Danish peace activist demonstrated in Soviet Russia as they also had in the US, protesting nuclear weapons tests in Nevada. Meanwhile, the organisations Teachers for peace and Highschool teachers for peace were established in November 1983. The monthly newspaper, Fredsavisen / the Peace Newspaper, was established in January 1984. By 1985 the parlaments Dyvig-Commission concluded that the peace groups were so strong and well informed, that their views were added to the political descision making process. Military personnel organisations and the right wing created its own groups to fight the peace movement190. The Soviet nuclear submarines in Swedish waters and on the Swedish archipelago191 was used by the growing right wing to claim, that the leaders of the peace movements indeed were Soviet and East German influential agents or spies, and as a result many left the peace groups. The Danish politicians held the election of May 10, 1988 on the nuclear weapons issue, which “endangered the Danish membership of NATO”192. The liberals and the conservatives won the election. Memoires of the politicans parcitipating has been published within the last years, thus adding oil to the heated debates over the good old times of the cold war. The summits between Ronald Reagan and Mikhail Gorbachev were seen as the end of history, where nuclear war and weapons had been defused by international treaties. The No to Nuclear Weapons split in 1990 over the position to the Gulf war. People connected to No to Nuclear Weapons established the short lived magazine Argument. The negative peace dividend was in the industrialised nations unique for Denmark. During the last 15 years the Danish military burden has continued to grow is is planned to do so in the near future. With the active participation in the Gulf war and by the creation of the inappropriately named Danish international Brigade (all the soldiers are Danes and they can be used wherever the US government wants them), the new military policy was acceptable to the voters, according to several opinion polls during the late 1990s. The disenfranchised peace movements began a long, but difficult successful campaign to aid draft evaders and deserters from the former Yugoslavia (Serbia and Montenegro) in Denmark193, while Danish racism was growing. The threat of war around Youguslavia saw in December 1991 the creation of the campaigns Peace Action 92 and next year a Danish chapter of the aid organization Women to Women were created. The successful campaign against Danish export of naval ships and naval ship technology to Indonesia was began by the Danish chapter of the WRI. Also Danish shipping companies world-wide transport of arms was stopped, after it was discovered, that the shipping companies were subsidised by low insurance premiums, funded by the partly state owned Foundation for War Insurance of Ships, established during World War One194 which permitted them to bid more competitively internationally. 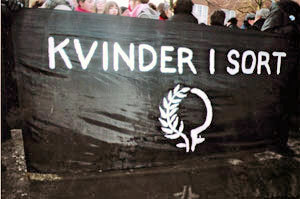 During the budget negotiations of 1997, the politicians were asked to privatise the foundation, which they did and Danish shipping companies no more transport arms, supported by the state. 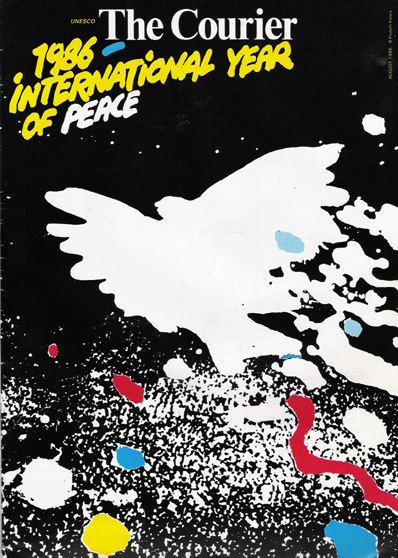 Though new campaigns were created the small peace movement became invisible in the media, though it had political success while the Danish governments acted as being a local American state by rearming and participating in the Gulf war. During the Day of Hiroshima 1988 the feministic network or umbrella organisation the Nordic Women's Peace Network was established at Nordic Women's Conference "Forum '88" in Oslo, Norway. The Nordic Women's Peace Network wanted the Nordic countries to become a zone of peace. The Nordic Women's Peace Network published the magazine Link and supported the Hague Appeal, Abolition 2000, worked against the NATO enlargement, promoted OSCE, UN reforms, created contacts with women in the former Yugoslavia and worked for nonviolent conflict resolution programmes and the Women and Peace research program: Nordic Women : A culture for peace against violence. The Working Group Against Nuclear Tests was created late 1990 and disolved in 1997 and a Danish chapter of the Helsinki Citizens Assembly was founded in 1994. A small Danish chapter of the Ribbon Around the Earth campaign was created aroud 1990 by the Women for Peace. Also at this time the Grandmothers Against Nuclear Weapons was established by Inger Bjørn Andersen from the Women for Peace. A demonstration against nuclear weapons tests in China, at the Chinese embassy north of Copenhagen August 21, 1995 recieved much media responce. There were more journalists covering the demonstration than the ten women and four children demonstrating. A Danish chapter of Women in Black were created in 1999. The Danish peace and disarmament activist Ulla Røder, is another fine sample of Denmark’s commitment to international solidarity, when the need is seen. She began her peace work protesting against the French nuclear weapons tests in the Pacific, became secretary for the Danish Peace Commission and later a member of the Trident Ploughshares 2000195. The Danish Peace Commission’s members came from the Danish chapter of Artists for Peace, the International Physicians for the Prevention of Nuclear War, Pugwash Conferences on Sciences and World Affairs, War Resisters’ International and the Danish organisations: the Conscientious Objector’s Union, the Peace Tax Foundation, Women for Peace and other organisations. 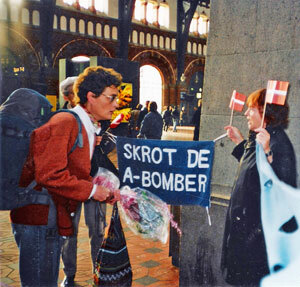 The war against terrorism and the US war against Iraq created many new Danish campaigns against the war and also a new umbrella organisation the Danish Peace Council was created in February 2003. Many Danes are against the war in Iraq, and they get great help by few dedicated journalists and a couple of newspapers, with the dailies Information and Ekstra Bladet being the most important. The Internet is used by the peace groups and campaigns to communicate ideas and information. The newest Danish peace and refugee group created is the Support Group for Refugees in Danger. For the last 15 years the Danish government have had just as many problems in clothing its citizens in the uniform as the rulers had during the time of Jesper Baltzarsen Könecken. The difference from then and the present time is, that now the government is spending about £ one million/$1,800,000 on military advertisements each year in vain. 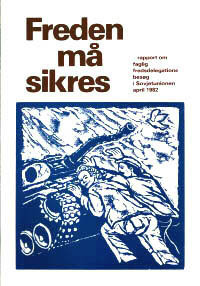 181 Salomon, Kim: Fredsbevægelser, 1985 can together with the volume of Liversage be used as contemporary general introductions to the debate over the subjects of the new anti-nuclear peace movement. Elster, Ellen: Women for peace. In: Peace News, No. 2016, 1980. 182 Conceptions of wars and fear of war. Krigsforestillinger og krigsangst. Jacobsen, Bo: Krigen, freden og danskerne : En undersøgelse af voksne danskeres opfattelse af internationale forhold. 1988 p. 47. Though published late in the debate over international policy, the investigation of Bo Jacobsen reflects the attitudes of the Danes during most of the second cold war. 183 Børn og unges psykiske reaktion på kernevåbentruslen. Holst, Erik: Kernevåbenkrigens trussel mod sundheden. In: Kernevåbnets medicinske konsekvenser for Danmark. In: Journal of the Danish Medical Association, 1986, no. 35 pp. 2250-2251. 184 Liversage, Toni: Den tredje verdenskrig – kan vi forhindre den? 1982. 185 Scharnberg, Carl: 20 års kamp for fred : Artikler og taler gennem 20 år – fra atomkampagnen til Aalborg fredskonference. Ålborg, 1981. Spiller, Roger: Trade Unions Convene in Denmark. 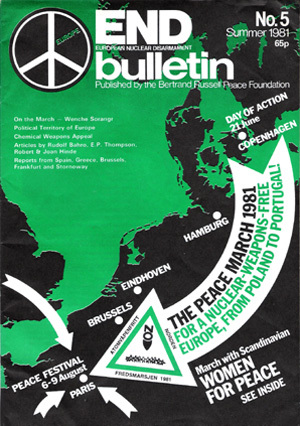 In: European Nuclear Disarmament Bulletin 1981:6 pp. 19-20. Ridenaour, Ron: Curing torture. New Statesman, Vol. 104, 1982. No. 2685 p. 15. 186 Øjne ser, hvad øjne vil se : Hvad der virkeligt hændte på verdensfredskongressen i København 15.-19. oktober 1986 / Eva Bendix ... [et al.] - Prague : Det internationale Journalist-forbund, 1987. / Eyes see what eyes want to see : Western Media and the Peace Movement : What actually happened at the World Peace Congress in Copenhagen / Eva Bendix ... [et al.]. - Prague : International Organisation of Journalists, 1987. - 125 pp. Gottlieb, Henning: I kronens tjeneste : Politiske erindringer. Forum, 2001. 187 Samarbejdskommiteen for Fred og Sikkerhed. 188 Peace March 1981: It's a long way to Paris. In: END Journal, 1981 No. 6 pp. 8-10. Soviet Peace Committee: Report on the Participation of the Soviet Non-Governmental Organisations in the World Disarmament Campaign for the period 12. April – 20. October 1983. Moscow, 1983 p. 10. 189 Knudsen, Jørgen: I Sovjet : På rejse med next stop, 1989. 190 Teglers, Jørgen: Fredsbevægelsen – med og modspillere, 1988. 191 Lindfors, Tommy: Under ytan : Ubåtar och svensk säkerhetspolitik. Göteborg, 1996. 193 Brøndum, Christian: Modstanden der blev væk. In: Berlingske Tidende, 10/17/2004. 194 Krigsforsikringen for danske skibe. The last known case of a Danish cargo ship carrying ammunition is Karin Cat, foundered south of Sicily on February, 18 2003. Danish Maritime Authority: Casualty Report: The Foundering of Karin Cat 18 February 2003. File. No. 01.40.01. - 22 pp. 195 Zelter, Angie: Trident on Trail : The case for people’s disarmament. Glasgow, 2001. Elkjaer, Bo: The lies of the war - the war of the lies The Danish Peace Academy, 2005. - 90 pp. .